Earlier in the grand finale of the LoveWorld Festival of Music and Arts, the BLW President, Rev. 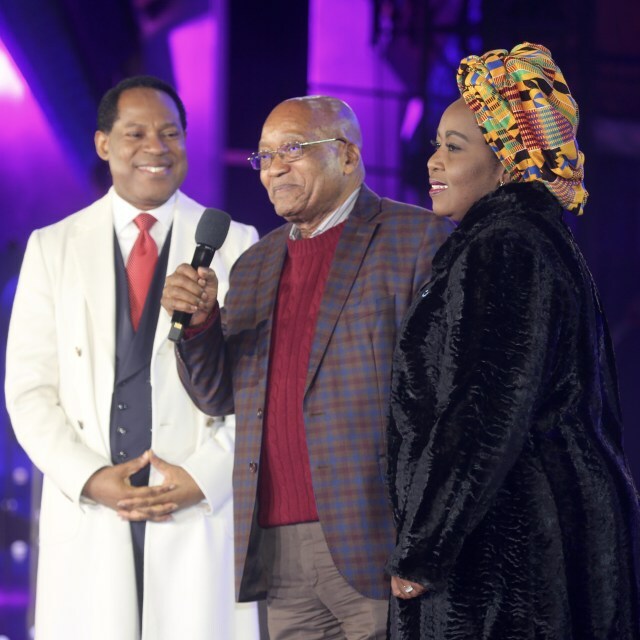 (Dr.) Chris Oyakhilome, introduced South Africa’s President Jacob Zuma and his wife, Dr. Bongi Ngema-Zuma, to thousands present from all over the nation and around the world at the Nasrec Expo Center. the President of South Africa said to the crowd after specially appreciating the man of God, Pastor Chris, for the LFMA and similar events held in the nation of South Africa.